Consumers are demanding more transparency and access to sustainable food products. A recent article on consumer trends mentioned US soy and plant-based soy alternatives retail sales grew 8.1% to $3.1 billion in 2017, while food sales overall decreased 0.2%. This demand is being met by agriculture businesses that are investing in new and existing technologies, like mechanical oilseed processing, to produce food. Insta-Pro® International invented mechanical processing solutions for soybeans, starting with the invention of the high-shear dry extruder in 1969. 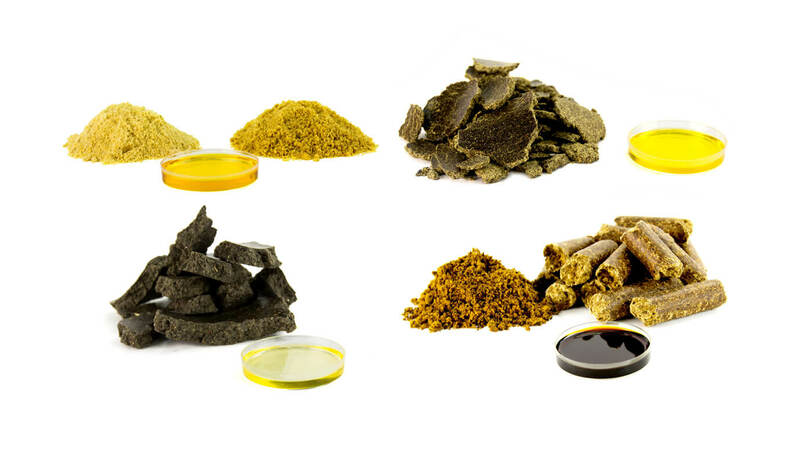 As the process was optimized for thermal processing by high-shear dry extrusion and mechanical pressing of oilseeds, the process known as ExPress® has evolved for use with multiple types of oilseeds. The ExPress® System is a hexane-free mechanical process which preserves the nutritional quality of various oilseeds. ExPress® process is easy to control which maintains quality of the meal and oil, however, several parameters should be followed to maintain consistency in the end product. For the ExPress® soy process, the recommended soybean parameters 9% – 11% moisture and 18% – 22% oil. Additionally, the soybeans should be properly cleaned and coarse-ground prior to extrusion. The ExPress® soymeal moisture, protein, oil, and fiber should also be analyzed for each batch to ensure quality and consistency. These parameters for raw soybeans and ExPress® meal can be monitored using Insta-Pro® International’s Portable NIR machine or by frequent laboratory analysis. The ExPress® system can also process cottonseed, however, the set-up is different than with soy. Cottonseed is processed after ginning and further de-linting and cleaning are recommended, but not necessary prior to extrusion. Also, cottonseed can be very dry – moisture < 7% – and may require water injection. The configuration of the extruder and press will change with cottonseed’s different profile when compared to soy. For oilseeds with starting oil content higher than 35%, an additional pressing step should be added. This alternative ExPress® set-up can be used to process canola, sunflower, flax, and other seeds with a high oil content and is used for its improved oil extraction efficiency. These oilseeds require a second pressing to ensure efficient oil extraction. Residual oil of the extruded and pressed meal ranges from 8% – 10% depending on the starting oil content. Proper cleaning and handling of the raw material are essential to prevent damaging the seed prior to processing. If seeds are damaged before processing, the seed can cause conveying issues to the extruder and press. The configuration of the extruder and press will change depending on the seed’s characteristics. When compared to other mechanical processes, nutritional quality of ExPress® meal is superior. In a recent study with the University of Illinois, broilers’ amino acid digestibility was compared across two mechanical processing methods. As shown below, broilers fed ExPress® canola meal had improved amino acid digestibility, including a 12% advantage of digestible lysine compared to the expanded and pressed canola meal. Additionally, a 439 kcal/kg increase in digestible energy – or 14% improvement of total energy in poultry formulation was seen among broilers fed ExPress® canola meal versus expanded and pressed canola meal. Talk with an Insta-Pro® International representative today to learn more about the various oilseed processes and how to produce high-quality meal and oil.